A college education is a vital step toward financial security. But for millions of students, just getting started on a degree can be daunting. Fortunately, there are some non-traditional ways to kickstart a college degree while saving on tuition. The three methods below are geared toward a wide array of students: high schoolers looking to get a jump on college; high school grads who have taken some time off; and adult learners looking to balance work and school. They aren’t the only alternatives to the traditional college path, but they’re all worth looking into for anyone trying to earn a degree without breaking the bank. Use pre-college tests to earn general education credits. Most four-year universities expect their graduates to master a well-rounded curriculum, no matter what their major. That means passing a set of commonly required classes in languages, humanities, sciences and math. Unlike the specialized classes required to complete a major, these general requirements tend to be similar from one college to the next — and that means, for students in secondary schools, the best way to start saving on college credits is to start earning college credits. For high school students with a high skill level in certain subjects, Advanced Placement (AP) classes and tests can provide a significant head start. Administered by the College Board, AP offers high school students “college-level study in a wide range of subjects and allows you to earn college credit if you score high enough on AP Exams.” There are more than 30 available subjects — and if your school doesn’t offer AP classes, you can still prepare for and take the tests through an online provider. (Check with your counselor or teacher first — they’ll have to point you in the right direction.) The exam fee is $92, with financial help available for students who need it. AP tests aren’t the only exams that can earn college credit. International Baccalaureate (IB) classes and tests are offered alongside or instead of AP at many high schools. The College Board’s CLEP tests allow traditional students, military veterans and returning learners to test out of some college requirements using knowledge learned from independent study, on-the-job experience or internships. Finally, your college or university may give you the same option to test out of certain subjects you’ve already learned — check with your admissions office or advisor! Start early and stay flexible. In addition to one-time tests, many high school students may be able to start their actual college classes while pursuing their diploma. These programs vary widely across districts and states, going by a variety of different names: direct credit, dual enrollment, middle college and early college. There are as many early-college options as there are colleges, so it’s best to check with both your high school counselor and your prospective college’s admissions office to find out what’s available to you. And don’t wait! These programs are often open to students as early as ninth grade. If you’re a high school graduate or a returning student, you can still earn college credits before committing to a four-year university. Your local community college is likely to offer a range of general-education courses that will get you on the way to a bachelor’s degree — and they’re more likely to be offered at night, on weekends and at least partially online. By taking advantage of the cheaper credits, more flexible schedules and off-campus living of your nearest two-year institution, you can drop the sticker price of your bachelor’s degree significantly. Don’t forget to shop online. As with every aspect of life, the internet has had a significant impact on the way people earn degrees. Today, it’s possible to complete everything from a software certification to a postgraduate degree online — and both new colleges and traditional institutions have gotten in on the act. You can also use a la carte courses to get the benefits of online school without losing out on the traditional college experience. At Scholarship America, we’ve partnered with Sophia Learning, which offers individual, transferable online courses in 16 subject areas. 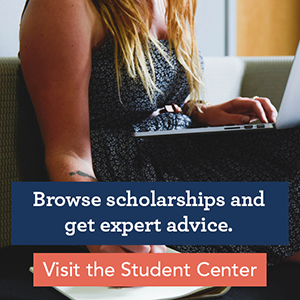 Priced at $249, these courses allow high schoolers or returning students to take self-paced classes in their preferred subject areas before making any big decisions and jumping into college full-time. Whether you pursue AP classes, dual enrollment, online courses or a combination of strategies, it’s important to remember: these alternatives to the standard college path require a high degree of self-discipline and motivation. But if you’re willing to put in a little extra effort, you can make a big dent in the cost of your degree.